What is a ghost? Is it an apparition that appears at night to frighten us? Is it a spirit at unrest, refusing to pass on to the next life until it settles a score with our world? Are ghosts corporeal or bodiless? Real or imagined? Alive or dead? 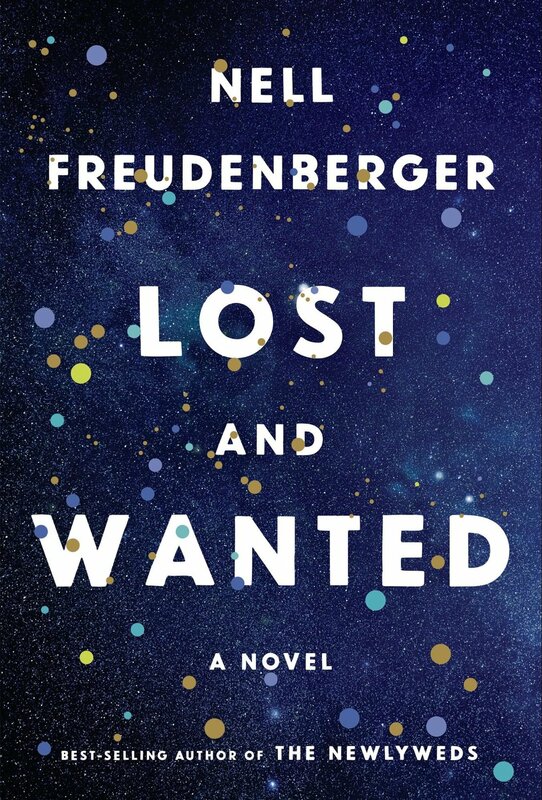 Nell Freudenberger tackles these questions in her third novel Lost and Wanted, which centers around Helen Clapp, a brilliant physicist and single mother coping with the sudden death of Charlie, a black Hollywood screenwriter and Helen’s best friend from college. In the wake of Charlie’s death, Helen takes on Charlie’s daughter Simmi and her husband Terrance as tenants in the room for rent in her building. The gesture seems gracious, and she assumes it will help both families grieve, but when she begins to receive text messages from Charlie’s phone, Helen starts to question the rationally grounded beliefs she so firmly holds about life, death, and the universe itself. Freudenberger’s ability to turn the language of physics into poetic prose delights, and her approach to narration deepens the resonance of the story. She weaves through time effortlessly, detailing experiences Helen and Charlie shared as undergraduates at Harvard at one moment and delving into Helen’s grief about Charlie in the next. Where this fluidity could get confusing or unwieldy in the hands of a lesser writer, Freudenberger displays mastery with her voice, and the novel transcends time but never feels directionless. Lost and Wanted’s interpersonal dynamics and social commentary rival its existential and theoretical depth. When she was alive, Charlie struggled with being an African-American woman in an industry controlled by self-absorbed, self-interested white men. Though Helen also faces oppression of sorts as a woman in the sciences, she reflects with considerable nuance about how she will never understand Charlie’s struggle. Again, where a successful white woman reckoning with the struggle her black friend faces could become problematic, Freudenberger’s strong, crisp characterization and nuanced psychological exploration make for intriguing and thought-provoking storytelling. The novel’s greatest success, however, lies in its exploration of the connection between science and the supernatural. The kind of science Helen specializes in is, after all, highly theoretical, and when she seriously considers the notion that Charlie is trying to contact her from the afterlife, she confronts the fact that even someone as grounded and well-versed in the scientific tradition as she is will never understand much about the universe. As the story builds and the mystery deepens, Helen considers other ways in which people live on after they die. As Helen observes the similarities between Charlie and her daughter Simmi, or as she studies her late friend’s possessions, she begins to realize that regardless of whether or not Charlie is trying to contact her from the afterlife, she will never die because Charlie lives on through the child she bore, the things she had, the difference she made, and the lives she touched. This powerful message serves as the novel’s drumbeat. Life, as we experience it, is an illusion. Time is the axis upon which we travel, but everything we have ever and will ever sense has already happened from the perspective of the fourth dimension. The big bang and the age of dinosaurs and the rise of humanity and the explosion of the sun have already occurred. With Lost and Wanted, Nell Freudenberger captures these notions’ essence.